Is your website mobile-friendly? If not, from April 21st your site will experience a loss in traffic and a significant drop in search engine rankings. If you own a website, this is something that you need to take note of! Google is making major changes to its algorithm, penalising your mobile-unfriendly website’s rank in search results on mobile devices and giving priority to your mobile-friendly competitors. This change will affect everything; websites, landing pages and blogs. Your potential customers will not be able to find you, which will mean a drop in web traffic and a potential fall in revenue. But why is Google making this change? 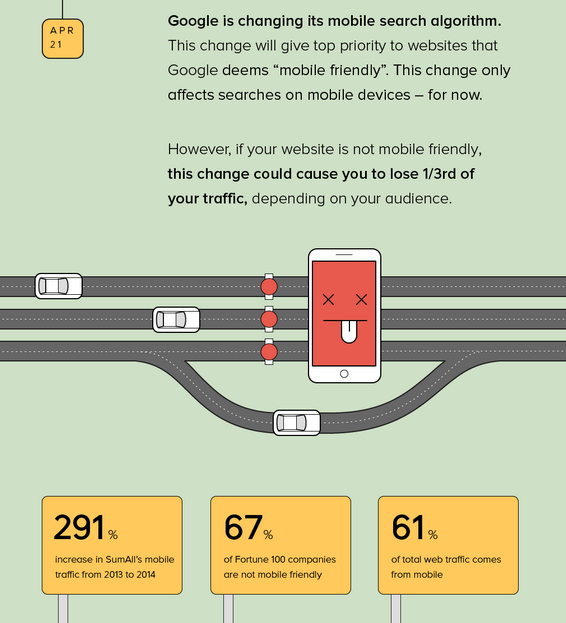 Surprisingly, 67% of Fortune 100 companies websites aren’t mobile-friendly – so why is Google implementing this change? Simply put, Google likes to give consumers what they want, which is to find what they’re looking for online as quickly and as easily as possible. Due to the stratospheric rise in the number of smartphone users and widespread 4G capability, around 61% of total web traffic comes from mobile. Naturally, Google assumes these smart phone web users want a tailored experience so they’re ensuring websites which boast a mobile friendly status are going to rise to the top of the pack. Tablets will NOT be affected by this change – at least for now. Google will judge your website’s “mobile-friendliness” on a page by page basis. Small text and Flash video will pose a problem for your mobile-friendly status. 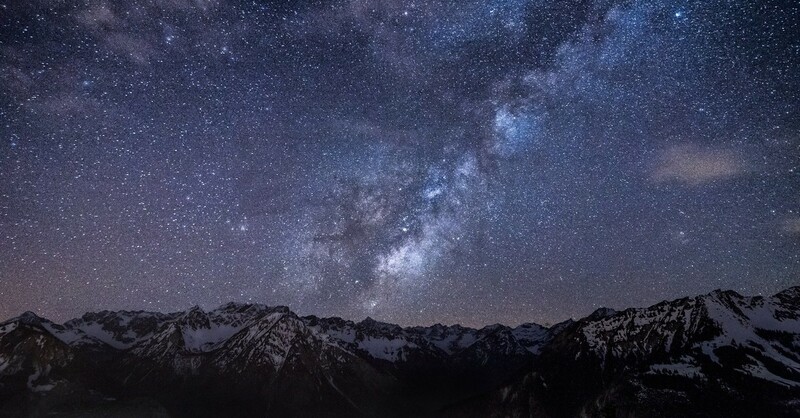 Loading times for images and other content will contribute to your responsive ranking. How do I check if my website is mobile friendly? There are a number of ways you can check if your website meets Google’s new stipulations. Firstly you can use your Google Webmaster Tools. Simply log in and and under the “Search Traffic” tab on the left you will be able to see your “Mobile Usability”. The easiest way to check is to simply run Google’s Mobile Friendly Test which will quickly inform you whether your site meets the new algorithm’s requirements, and offer you a few uncomplicated, non-technical reasons as to why. You can also check out Google’s comprehensive guide to mobile-friendly websites here. If you have any questions about your website or are interested in building a brand new one, we can help! Simply get in touch with us here!